"They are our soul mates, our companions, and our friends. They mean more to us than the world will ever know." 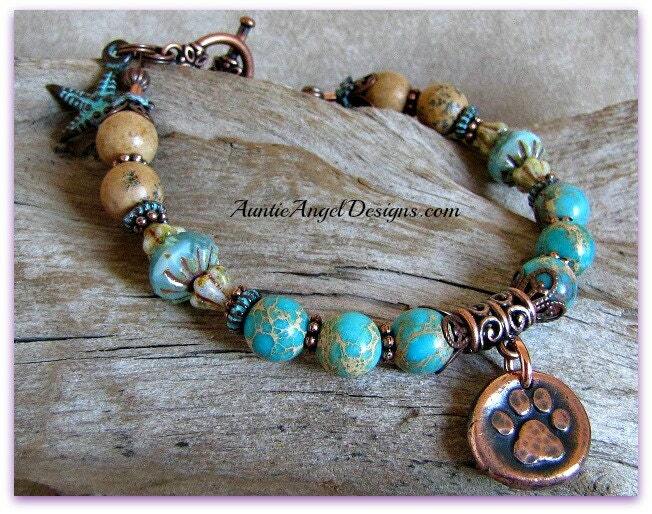 The "Paw Prints in the Sand Pet Lover Bracelet" is handmade by Auntie Angel Designs and loosely based on the popular "Footprints in the Sand" poem. Who doesn't smile when seeing a dog romp at the beach? Pure joy for the dog and pure joy watching and enjoying his companionship. 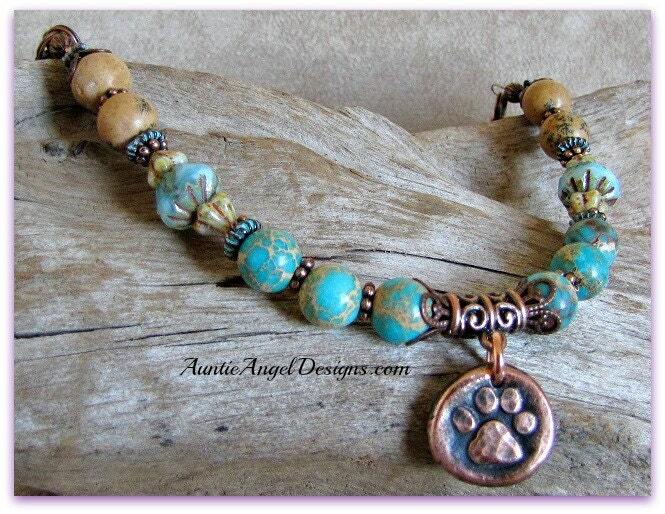 This classic bracelet of faith features an artisan paw print copper charm that dangles from an antiqued copper open scrollwork charm bail. Natural landscape jasper beads and gorgeous blue-green semi-precious aqua terra jasper gemstone beads are highlighted with sky-blue Picasso crystal-faceted beads. 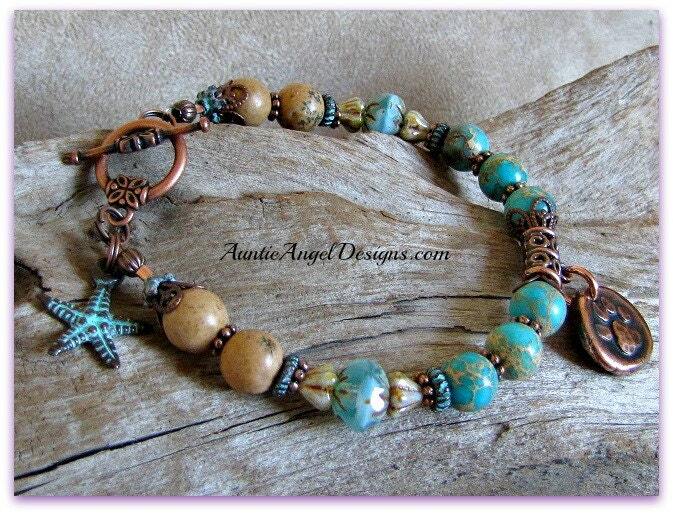 Small Picasso-finish bell flower beads and fine copper accents with copper and patinaed copper spacer beads appear throughout. Think sand and beautiful Caribbean waters: relaxing and spiritual! 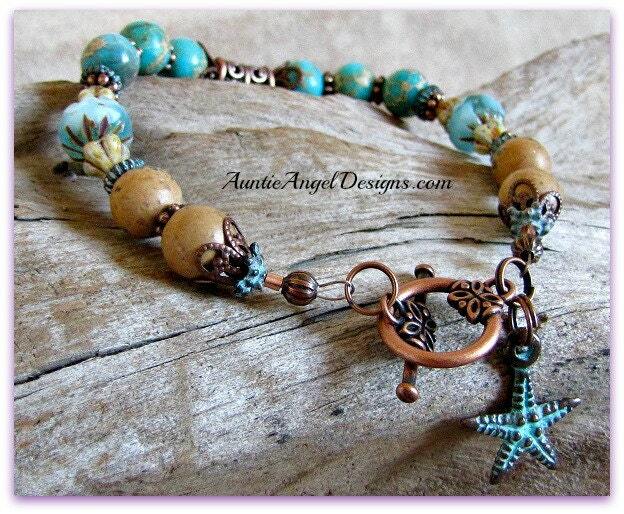 Your bracelet is finished with a decorative antiqued copper toggle clasp from which a darling patinaed copper starfish dangles. "God is in the details!" Please note: Bead arrangements may vary depending on the size of the wearer's wrist. 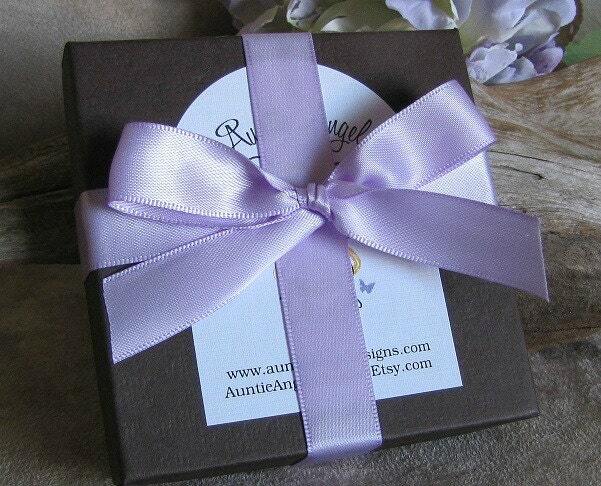 The "Paw Prints in the Sand Pet Lover Bracelet" comes in its own gift box with ribbon and is ready for gift-giving.